Overlooking the open bay, the King's palace is the most opulent estate in Miami. 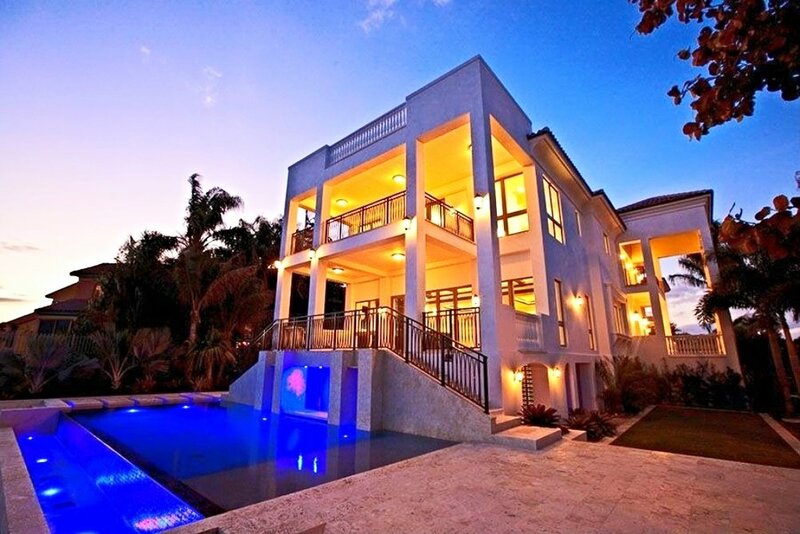 The contemporary compound features guest home & private master rooftop sundeck. Glass doors open to covered terraces throughout. Luxurious outdoor living; infinity edge pool & concrete dock. Previously owned by Lebron James.